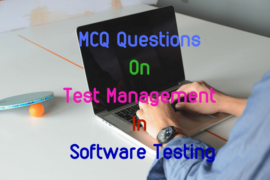 This set or multiple choice questions on PL/SQL and Oracle database includes solved MCQ questions on fundamental of PL/SQL and Oracle. 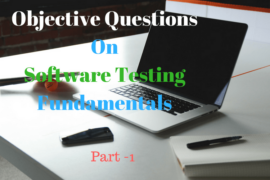 It also includes multiple choice objective questions on different PL/SQL and Oracle queries and their basic features. 1. …………………… is a procedural extension of Oracle – SQL that offers language constructs similar to those in imperative programming languages. 2. ……………….. combines the data manipulating power of SQL with the data processing power of Procedural languages. 3. ………………. has made PL/SQL code run faster without requiring any additional work on the part of the programmer. 4. A line of PL/SQL text contains groups of characters known as …………………..
5. We use …………………… name PL/SQL program objects and units. 6. A ……………….. is an explicit numeric, character, string or Boolean value not represented by an identifier. 7. If no header is specified, the block is said to be an …………………. PL/SQL block. 8. …………. is a sequence of zero or more characters enclosed by single quotes. 9. In ……………………, the management of the password for the account can be handled outside of oracle such as operating system. 10. In ………………………. of Oracle, the database administrator creates a user account in the database for each user who needs access.